if your Friend or Family member lives in either Crawley , Partridge Green , Horsham , Brighton and Hove , Worthing , Steyning , Haywards Heath , Burges Hill , or any areas within 5 miles of any of these areas, all they need to do is Email us at flueologist@hotmail.co.uk or call Free Phone 0800 234 3964 and quote the word Crawley 10% if you live in Crawley or if you live in Horsham then it would be Horsham 10% Brighton would be Brighton 10% etc.... 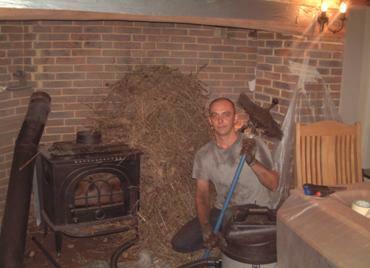 Please ask your Freind or Familly Member to include your name and post code, so as we know to give you your 10% discount next time we sweep or repair your chimney. Cotterill, Edinburgh, Warnock, Di Canio....who will be the next Crawley Town boss? Crawley Town have confirmed that Gary Alexander and Chief Scout Martin Hinshelwood are in interim charge of First Team affairs. They will take charge of the side for the first time on Saturday when Reds go to Crewe Alexandra in Sky Bet League One.